With increasing evidence for Mesoamerican influence at Chaco in recent years, it’s worth taking a close look at what was going on in Mesoamerica itself during the Chacoan era. As I’ve mentioned before, there is some reason to believe that the most likely area to look to for direct influence in the Southwest is West Mexico, but developments in Central Mexico are also worth considering. The Chacoan era corresponds generally to the Early Postclassic period in Mesoamerican history, and in Central Mexico this period is dominated by the Toltecs and their widely influential state with its capital at Tula, in the modern state of Hidalgo northwest of Mexico City. When discussing the Toltecs, it’s important to note that most of the available information about them comes from later Aztec sources dating to the period after the Spanish conquest, and there is considerable debate about how historical these accounts actually are. Some scholars have argued that the stories of the Toltec “empire” with its capital at a city known as “Tollan” reflects a longstanding tradition in Mesoamerica dating back to long before the period of the site now known as Tula. There is considerable evidence that the Aztecs, at least, identified Tula with Tollan and venerated it as the capital of the legendary Toltecs, but that doesn’t necessarily mean much for the actual history of the site. Setting aside the ethnohistoric traditions about the Toltecs, then, the archaeology of Tula itself is worth a close look. What do we know about this site and its history? As Dan Healan explains in a recent review article, the answer at this point is, “not much.” Tula actually seems to be surprisingly poorly understood for a major Mesoamerican city. Presumably this is largely because it has been overshadowed by the more impressive remains of Teotihuacan and Tenochtitlan in the same region dating to earlier and later, respectively. As Healan notes, the nature of the city itself, which was built mainly of adobe, meant that it ended up with a much less impressive physical appearance than Teotihuacan, which was made primarily of stone. The lack of a precise chronology is also a problem; despite several decades of research, only a small number of radiocarbon dates are available for Tula. The chronology is therefore based primarily on ceramic cross-dating, but even this is not very precise or secure. Typically for Central Mexico, as opposed to the Maya area, there is also a lack of monumental inscriptions to provide an alternative means of dating construction and related events. As a result of all these difficulties, the picture that emerges from research at Tula is still pretty blurry. It’s not completely dark, though. As Healan presents the evidence, Tula appears to emerge in the Epiclassic period after the fall of Teotihuacan as one of several small polities in the general area. Judging by ceramic styles, at least some of the people inhabiting the Tula region at this point appear to have had strong connections to the west, specifically to the area known as the Bajío in what is now southern Guanajuato and Querétaro. These apparent migrants from the west may have merged with remnant Teotihuacan-influenced populations to form the core of the Toltec state. Developments at Tula itself are hard to trace due to the dating problems mentioned earlier, but there are two distinct ceremonial centers at the city, known as Tula Chico and Tula Grande, which are very similar in layout and seem to have succeeded each other in time. Interestingly, Tula Chico appears to have been burned early in the development of the Tula polity but to have remained in a ruined state while the city grew around it and it functions were assumed by the new center at Tula Grande. The reasons for this are hard to discern, but Healan suggests that whatever violence was involved may have been internecine, with the victorious faction leaving the old civic center destroyed as a reminder of its victory. This is plausible enough, but other explanations are also possible. Whatever the backstory, at the height of its power Tula was clearly influential over a wide swath of Mesoamerica, although its area of direct control is harder to discern. In addition to the well-known similarities between Tula and Chichen Itza in the Yucatan, which Healan doesn’t discuss in much detail given the already vast literature discussing them, sites with clear Toltec characteristics are found as far north as southern San Luis Potosí and as far south as western El Salvador. This suggests Tula played an important role in the developing trade networks that extended throughout the region beginning in this period. Interestingly, while these sites suggest a large area of north-south influence, some areas quite near Tula to the east and west show essentially no influence from it. Perhaps this indicates a specific axis of Toltec influence, with other states having more of a role in other areas. The extension of Toltec influence quite far north is of course significant for developments in the Southwest. To my mind it suggests the possibility of a trade system running north-south along the eastern flank of the Sierra Madre Occidental, connecting Tula to the Mimbres area. This would be somewhat distinct from the parallel system running along the Pacific coast and controlled by the polities of the Aztalan tradition connecting Michoacán and Jalisco to the Hohokam area. Chaco may have been connected to either or both of these networks; it is still unclear how much contact the Chacoans had with either the Mimbres or the Hohokam. One way or another, however, Mexican trade goods reached Chaco. Some of them (e.g., copper bells) definitely came from West Mexico, but others (e.g., chocolate and macaws) came from much further south and could have come up through either pathway. One interesting suggestion of connections with Tula specifically is architectural. 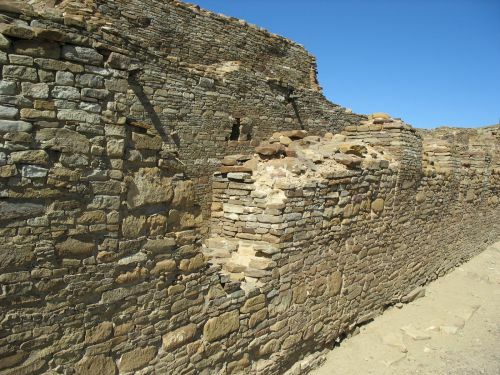 While Pueblo architecture is very different from Mesoamerican architecture as a general rule, and Chaco is no exception, the distinctive core-and-veneer masonry associated with Chacoan “great houses” finds an echo in the “small-stone veneer” architecture of Tula. This isn’t a perfect parallel, as it seems the Tula version is a true (non-structural) veneer of stone stuck onto a structural wall of adobe or rough stone, while the Chacoan version is actually a structural facing without which the wall wouldn’t stand up at all. Still, the similarity is striking, as is the rarity of this technique both in the Southwest and (apparently) in Mesoamerica as well. The Tula walls are also plastered, sometimes even with mud, as at Chaco, but more often with lime, which is abundant in the area and appears to have been a major export to both Teotihuacan and Tenochtitlan in the periods bracketing the florescence of Tula. Another more straightforward architectural parallel between Tula and Chaco is the use of columns. Both Tula and Chichen Itza are known for their huge numbers of square columns. This is a distinctive architectural feature that is otherwise rare in Mesoamerica, and it has therefore been one of the main pieces of evidence for a close connection between these two Early Postclassic centers. At Chaco, columns like these are found in the “colonnade” at Chetro Ketl, a single row of square masonry columns facing the plaza apparently added quite late in the history of the site and filled in even later to form a solid wall. It’s very unclear how this feature should be interpreted, but the similarity to the columns at Tula is striking. It’s frustrating that so little information is available about Tula. At a minimum, a more precise chronology would be a huge help in determining how it relates to other contemporaneous cultures in both Mesoamerica and the Southwest. 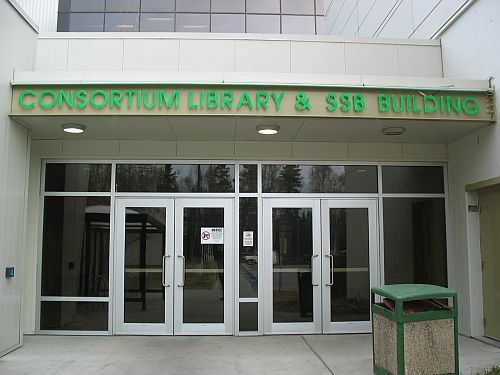 At the end of his article Healan laments the ongoing destruction of many portions of the site outside the monumental core due to modern urban development. Complaints of this sort seem to be pretty common among Mesoamerican archaeologists discussing various important sites, and certainly the loss of archaeological resources is unfortunate. As Healan notes, however, development at Tula has been accompanied by salvage archaeology to at least document the sites that are being destroyed, although the reports resulting from this work are not always widely available. Another way to look at increasing development, then, would be to see it as a great opportunity to document parts of the site that might not have otherwise have been excavated (and to collect more radiocarbon dates to firm up the chronology). This attitude appears to be increasingly popular among archaeologists in the US, but I’ve noticed that Mesoamericanists tend to be more reluctant to consider salvage projects to be anything other than a necessary evil. As Mexico becomes more prosperous, however, development is only going to continue, and documenting the country’s rich prehistoric heritage can go hand in hand with that process. It’s especially important that it do so in areas that are important but relatively understudied, such as Tula.